A review of "Beer Guide to Vietnam and Neighbouring Countries"
With picturesque beaches and tourist traffic, Southeast Asia is ripe for beer exploration. 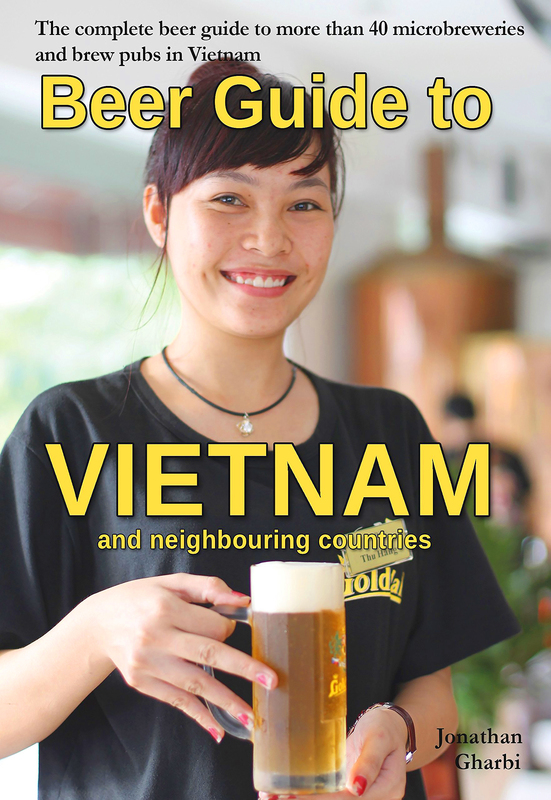 In his e-book Beer Guide to Vietnam and Neighbouring Countries ($9.99, Vulkan), Jonathan Gharbi brings undoubted enthusiasm to the project of cataloging Vietnam’s beer scene. During the two years that he was working in Vietnam as a state employee, Gharbi became such a fan of the local breweries that he rented a minivan and started giving tours. He is not a journalist or a beer expert. The book is poorly organized, and Gharbi admits, “My English is not the best.” It’s also telling that his rating system includes the price, service and size of each venue, but not the quality or taste of the beer. Nevertheless, if you’re visiting the region, Gharbi includes lots of helpful information. The pictures of each venue’s frontage would be invaluable in crowded cities with few signs in English, and his insights into Vietnamese beer culture are entertaining—for example, the custom of “Drink 100%,” complete with obligatory trash can next to the urinal. Here’s hoping that his dream of sparking interest in Asia’s beer culture succeeds.